So I noticed that the awesome Convert-WindowsImage.ps1 PowerShell script has been updated to version 6.3 and published during the Christmas holidays. 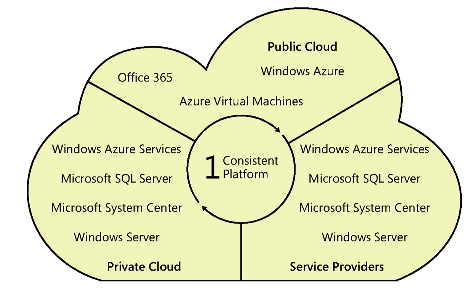 The script is maintained by Microsoft Consulting Services and was originally created by Mike Kolitz. I really like this script and have used it alot when creating new VM´s and I have been awaiting an update to support the Generation 2 VM´s with UEFI boot. 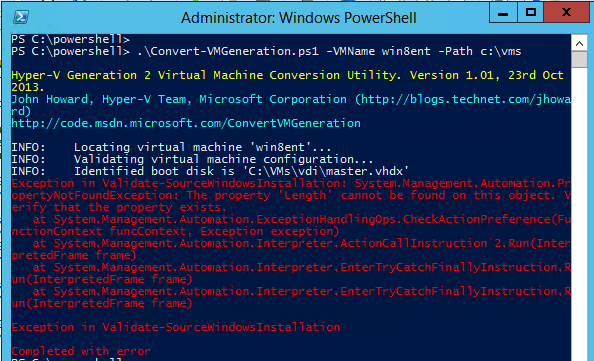 So I was helping a customer to migrate a VMware VM to their Hyper-V environment that is managed with System Center VMM, As I described in an earlier post I had some things that I did not like in the built-in v2v conversion that is part of the VMM. In this migration I used Double-Take Move and this is a really nice software from Vision Solutions that allows you to migrate a running VM and will only get a few minutes downtime during the failover :-). The great thing is that the VM is replicated to the hyper-v host directly and you get a synthetic NIC and also a VHDx virtual disk. 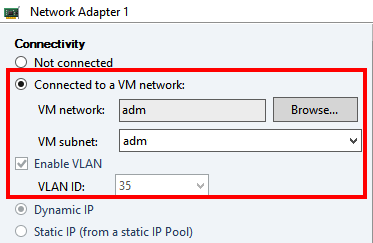 DT does not set VLAN on the nic for the migrated VM, that can be done during the replication in VMM when the newly provisioned VM appears there and set the right vm network and bandwidth etc. DT does not make the VM highly available during the migration, it can be deployed on the Clusterstorage volume though. DT does not remove VMware tools during the migration so that has to be cleaned up after. DT does not update/install the Hyper-V integration components. The workaround option that is available in VMM to be able to make the VM highly available is to do a Live Storage migration to another CSV Volume/SMB share and in the wizard check the box for making it highly available but that involves file copying and goes painfully slower than the Add-VMToCluster on the running VM that already resides on a shared storage volume. And this also (at least in my test environment) creates a copy cluster resource that has to be cleaned up manually cause the real one is running.. But now it was time for Microsoft Certified Specialist: Server Virtualization with Hyper-V and System Center (exam nr 74-409) and this exam reflects and measures the latest releases from Microsoft in Windows Server 2012 R2 Hyper-V and System Center 2012 R2. The skills being measured can be found here. I have some knowledge in the subject and have done some implementations before and also had the previous title MCITP: Virtualization Administrator so I thought it should not be too hard, as always some questions have to be read more than once before choosing the right answer. 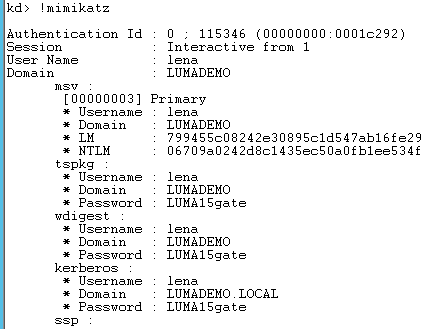 So earlier this week the twitter flow went bananas when Remko did a blog about how to extract the password in clear text from a VMware vmem file with the add-on from Benjamin, Mimikatz that extends the windebug. 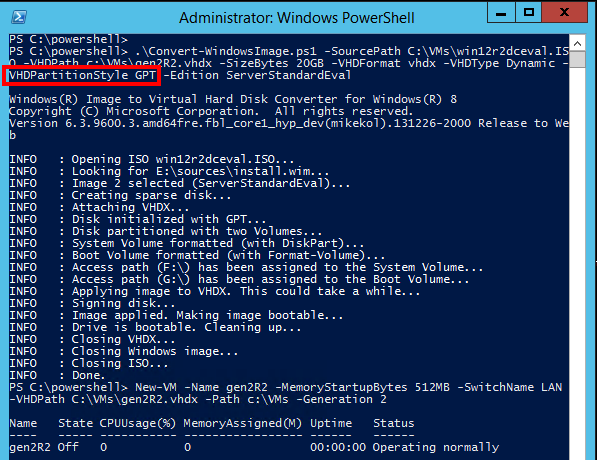 I wanted to test if it works also in Hyper-V and it is not so much difference, the main difference is how to create the dump file and here I use the vm2dmp (thanks to Yusuf for supplying me with a vm2dmp.exe that works with 2012!!) with the right switches, in this case the VM is in saved state but you can also use snapshots or just the vsv and bin file. I have tested this on a Windows 7 virtual machine and also on a Windows Server 2012 R2 virtual machine both running on Hyper-V 2012. This highlights the importance once more that it is crucial to make sure that only the right people have access to the virtualization hosts and the storage where the VM´s resides! Bug in VMM 2012 SP1 disconnect VM nic after cold migration? Yesterday I was at a customer and working on configure their off site Hyper-V cluster. I was setting up live migration settings to be able to do shared nothing live migrate the VM´s between the data centers. I was setting up kerberos authentication and also delegation in the active directory but did not think of the 10 hours (600 minutes) time that a kerberos ticket could live and got some errors regarding constrained delegation, as it says if reading a bit more carefully in this technet page on how to configure live migration outside of clusters :”A new kerboros ticket has been issued. “, I did not think of this at first and checked the hosts settings and the active directory objects twice 😛 but it did not work and I did not think of the time…. If you want to purge the kerberos tickets you can use the klist command line tool. 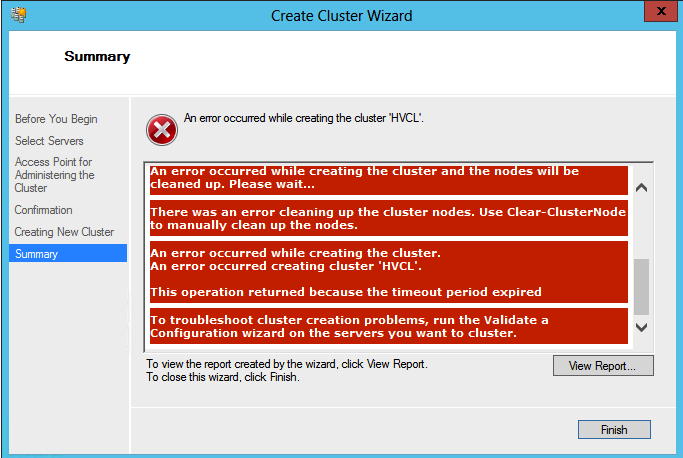 Well during the error search I had to test to do a cold migration from SC VMM between the clusters and that looked like no problem at all. It should also be said that both clusters was configured with the same logical network, vm networks, logical switch and uplink so it was the same conf! SC VMM have been updated with the latest CU 4. Once I connected it to the (logical) virtual switch on the host with Hyper-V Manager it started to respond to ping of course. 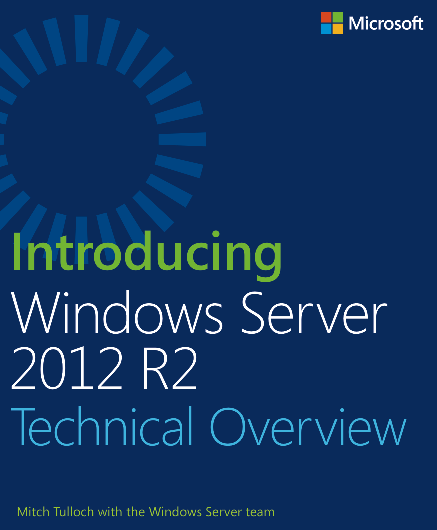 I will continue to exam this further and maybe it has been fixed in the VMM 2012 R2. Today Microsoft Press released a free book about the features in Windows Server 2012 R2 written by Mitch Tulloch and the Windows Server Team. The book goes through the new features in the latest release and gives you as an IT PRO an oversight and quickly get familiar with the different areas of improvement from the 2012 to R2. The book starts with the Cloud OS vision that is all about mobility and that microsoft already with the 2012 release described, the possibility to move between the different clouds. I have done blog posts about why you should create your new VM´s with Windows Server 2012 instead of 2008 R2 or older even if you were not able to create them with the generation 2 at that time as the Windows 2012 R2 was not released back then. I also did a blog post how to use a third party product to do the migration from generation 1 to 2 with Double Take Move software. Now I found John Howards script that he has made public that does the migration from generation 1 to 2 🙂 He also has a blog series about generation 2 VM´s that is definitely worth the time to check out. Now I am sure that John and his team will work and distribute new versions with correct error checking and I am truly glad that they have released this so I could test it right now anyway 🙂 !! I have on my blog done a post about how the VMM 2012 Sp1 not updated the cluster resource when doing Live Storage migration from one CSV volume to another in a Hyper-V cluster and now in the Update Release 4 of VMM 2012 SP1 they have finally fixed it! In Hyper-V this does not have an impact for the successful boot as in VMware VM´s where you set the best matching OS for the boot process to work flawlessly. 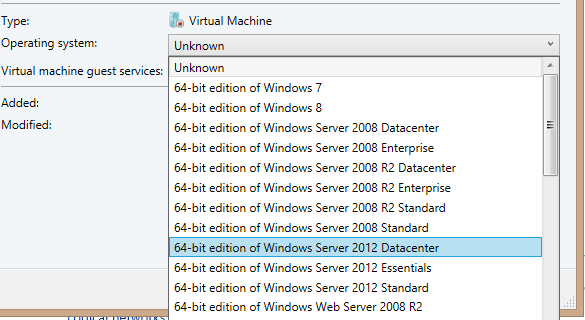 In Hyper-V it uses the same BIOS for all your VM´s and this list is something for VMM and the database. I have some VM´s on my new Windows 2012 R2 host that have a strange creation date on the properties. 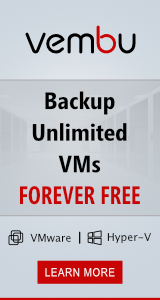 The VM´s have been created on different times and it was a customer that noticed it.